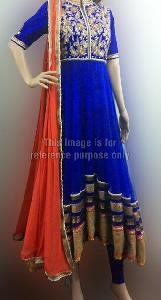 Madhubann – The Fashion Garden is the house of most attractive and designer partywear suits. We are offering a stunning and Attractive Orange and Black Suits Collection Online in India. 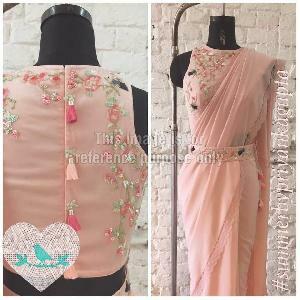 It is the latest addition to our stock of partywear clothing. The Orange & Black Designer Suit that we are offering is procured from the celebrated manufacturers after a stringent quality check. It is fabricated using orange and black net fabric, featuring a side slit. Orange & Black Designer Suit comes with a multi-color digital print nylon bottom and a black with green and orange border net dupatta.